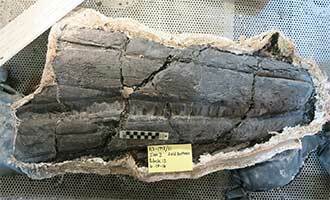 The Ichthyosaur is Nevada’s favorite fossil, and it has been given a new lease on life by a German professor of Paleontology and a beer brewer in Reno. Metaphorically, I mean, not that Old Stonybones will ever swim again. Excavations in the mountains southeast of Lovelock have unearthed a large number and wide variety of these fossilized fish-lizards, and one of them seems to be the largest predator ever discovered. These finds have stirred great interest within the scientific community internationally, and within the beer-drinking community here in Nevada where Great Basin Brewing Company has been producing Ichthyosaur IPA for years. 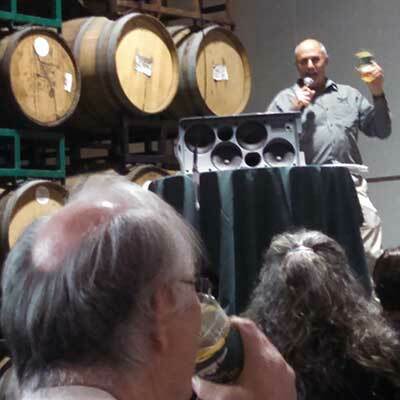 The company threw an Expeditionary Party in April to raise funds for the digs, and hundreds of local people turned out to learn about Ickies and taste the brew. More than 500 fans of a Reno-brewed IPA, and of its namesake — a giant prehistoric ocean-dwelling reptile — attended the fundraiser at the brewery for the paleontological dig in Pershing County. They dined, drank beer and listened to the director of the dig explain how it is that Nevada is such a rich source of these fossil remains. Berlin-Ichthyosaur State Park is one of the state’s most interesting landmarks, a collection of fossilized ichthyosaur skeletons heaped together, as if by the tides of an ancient sea, or cast there after being devoured by the even more gruesomely ferocious krakken. 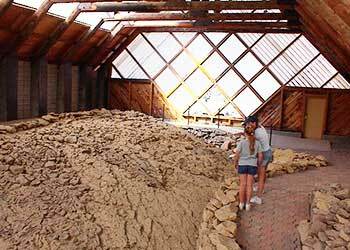 Discovered in 1928 and subsequently excavated by crews from the University of California at Berkeley, they were proclaimed Nevada’s state fossil in 1977, and an attractive “barn” shelters the fossilized bones left in the rock for visitors to see in place. Ichthyosaurs — “fish lizards” — resemble whales in some interesting ways, although they are reptiles and not mammals. Like whales they evolved from land animals that returned to the sea; their flippers are not fins, they’re repurposed legs. Like whales they were air-breathers, gave live birth to their young, got bigger and bigger over the eons and like whales the largest of them were not predators — too big and slow, perhaps — but browsers. They flourished in the Triassic Period and went extinct before the end of the Cretacious, when North America was at the western edge of the slowly separating land mass called Pangea. 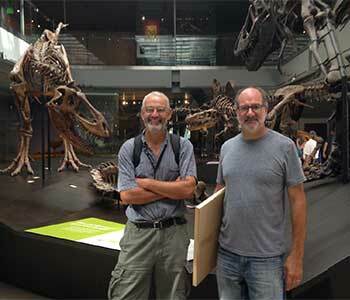 Fast-forward 90 million years. 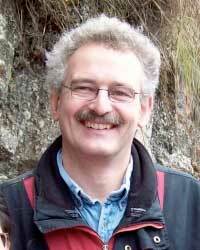 Professor P. Martin Sander, professor of vertebrate paleontology at the Steinmann Institute of the University of Bonn in Germany had been prowling the steep hillsides of the isolated Augusta Mountain Range southeast of Lovelock since 1991. Over 20 years, he and his crews had identified fossil remains from at least 12 different species of the great sea beasts, extruding from the rock that has encased and infused their bones through millennia. 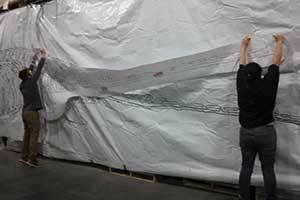 During the last field season, the team uncovered a huge creature, an ichthyosaur species completely new to science, projected to have been about 50 feet long – and may turn out to be the first large predator ever discovered in the fossil record worldwide. These ichthyosaurs are older than those at the State Park by many millions of years and represent a more complex population living earlier in the course of evolution. 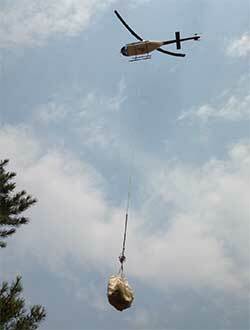 But it was in 2011 that one of the archeologists made a discovery that changed the course of the project. In Winnemucca to get supplies for the camp, he was astonished and thrilled to find an unfossilized Ichthyosaur in the beer section at Raley’s. When he returned to camp with a case of it, everyone there was astonished and thrilled too, and when Professor Sander got in touch with Tom Young, Tom was the most astonished and thrilled of all. What’s really astonishing is that it took so long for the crew to find the beer aisle at Raley’s, and that it took Raley’s so long to stock Icky. Geologist-turned-brewer Tom Young had produced this distinctive IPA (“wonderfully full bodied and smooth with a blast of grapefruit, spice and pine at the finish, and a blend of carefully selected hops”) at his Great Basin Brewery in 1993 and christened it in honor of the State fossil. 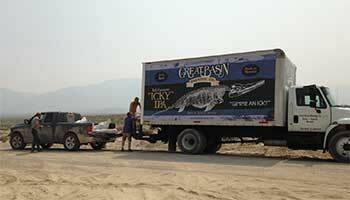 Great Basin Brewing Co. became an enthusiastically active sponsor of the project, first by sending more beer to the camp along with some money to further the work, and most recently by sending an Icky truck and driver to the dig camp to meet a helicopter carrying the carefully packaged fossils down from the dig itself. They were loaded into the truck, after which the Icky truck delivered the bones to the Natural History Museum lab in Los Angeles for painstaking examination. As an ongoing contribution to this research, Great Basin will release four barrel-aged commemorative beers as namesakes of different Ichthyosaur species. 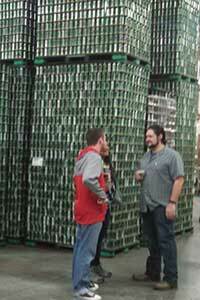 The first of them, a barrel-aged, dry-hopped IPA named Phalarodon, was introduced at the fundraiser. 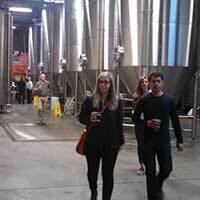 The enormous brewery seems surreal when compared with the small brewpub that opened in Sparks nearly 25 years ago. When its doors were first thrown open to a thirsty world, the little place on Victorian Boulevard ran out of beer in two days and couldn’t make it fast enough to keep up. It’s a big-scale operation now, with a Reno location on South Virginia Street in addition to Sparks, and a beer bar called Taps and Tanks just inside the brewery entrance. The fundraiser offered beer plus a glass to pour it into and then take home plus a buffet supper and then a presentation by Professor Sander about the project to a SRO audience of people of all ages from gaffers to millennials with children. The amiable and erudite professor expressed his appreciation to Tom Young, not only for the material support, but also for making its subject more accessible by calling it Icky. Captain Danno performed on stage before the formalities began, and there were games afterward: Pin the Head on the Ichthyosaur involved two-person teams “pinning” the 8-feet-long head to a 50-foot drawing and a Prehistoric Spelling Bee comprised of tongue-twisters from the fish-lizard lexicon. This was especially entertaining because the quizmaster was a newcomer to this realm and found many of the terms unpronounceable. This posed a major handicap for the eager contestants, which added to the audience’s enjoyment and was solved by using the eliminated challengers as pronunciation aides, a task they performed with gusto. This first ever Ichthyosaur Expedition Party was the perfect way to learn about Nevada’s fish-lizards, and I’m certain everyone present went away better informed. I do hope Professor Sander recognized the advantage of lecturing on his specialty to an audience sipping one or another of Tom Young’s specialties. It was a perfect combination.